Hiring people for your company is so important. Having a strong pool of candidates at the top of your hiring funnel helps to ensure you have several strong candidates to choose from at the end of the interview process. 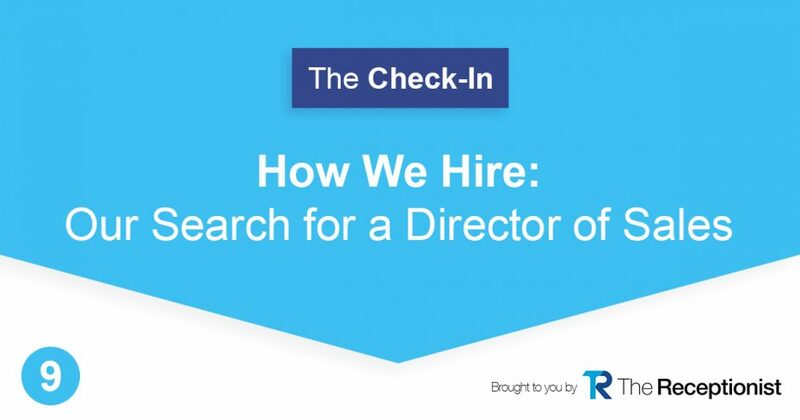 The Receptionist’s President and CEO, Andy Alsop, is back with us to talk about what he’s learned about hiring people, and how their process has changed over the last two years. After going through the hiring process early on at his time at The Receptionist, Andy realized that the quality of final candidates was just okay. He’d hire people only to let them go. Having less-than-stellar candidates and not keeping them around isn’t good enough. Around this same time, Andy and the rest of The Receptionist’s team worked hard to create clear values for the company; he realized the hiring process needed to better match this. For a growing company, it can be a strong choice to outsource things like elements of the hiring process. On the recommendation of The Carruthers Group, Andy brought on Scalability Solutions who took over in a whole new way. They spent time with the company, learning about who they are, what it would be like to work with them, and about the positions looking to be filled. Scalability Solutions crafted a much stronger job description and marketed the position so that the right candidates were hearing about careers at The Receptionist. From there, the hiring process included team and individual interviews, ending with several strong candidates. Since that time, the new team members who have been brought on have been a great fit and Andy is very satisfied with how the hiring process has changed. As of August 2018, The Receptionist is in the process of hiring its new Director of Sales; it’s been exciting for the team to go through this process and Andy is looking forward to seeing who ends up as the final choice. Two years ago, the hiring process was not what Andy wanted it to be, nor was it bringing the candidates that The Receptionist wanted. But now, Andy is confident in both the hiring process and the candidates it brings in. Who will be the next Director of Sales for The Receptionist?? To be continued. . . Try The Receptionist for 14 days free, with no credit card required!